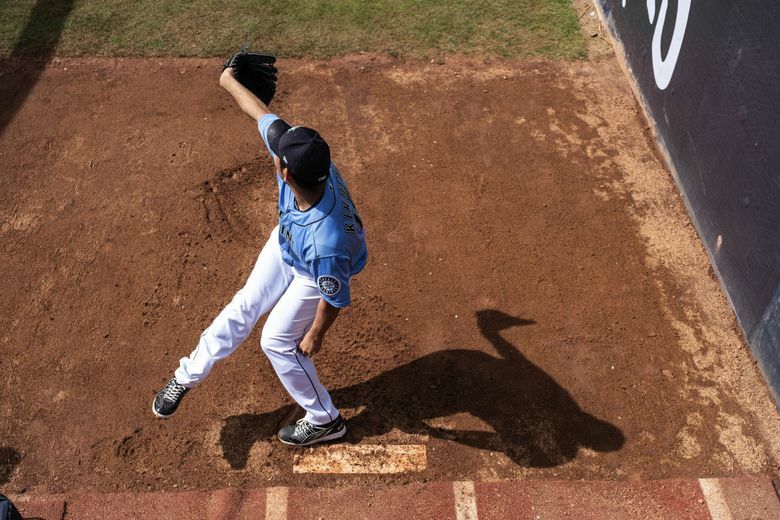 PEORIA, Ariz. — The innocence of Yusei Kikuchi’s brief existence in Major League Baseball reveals itself in the most unexpected of ways. 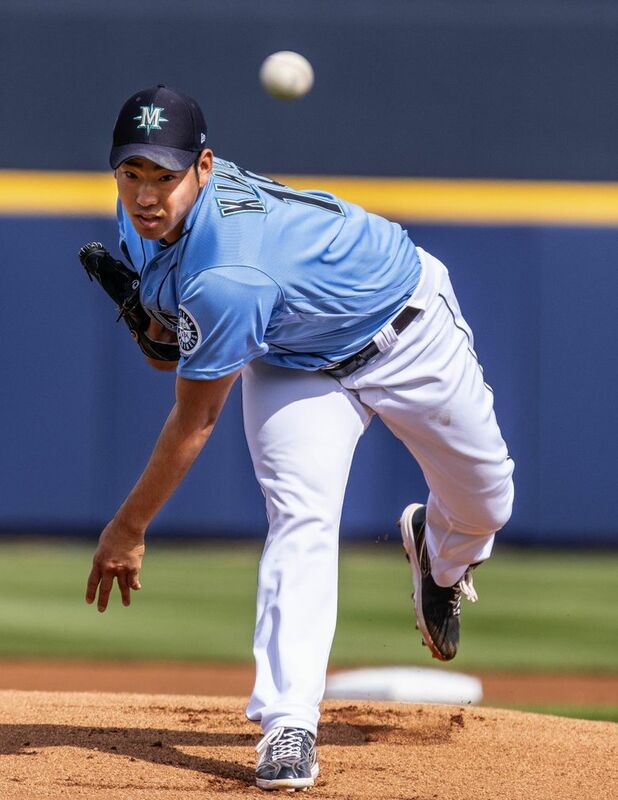 From a talent standpoint, it was obvious early in his two-inning debut Monday that Kikuchi belongs at baseball’s highest level. The most memorable moment from the outing came against the second batter of the game. Facing Cincinnati’s Joey Votto, a perennial All-Star and National League MVP candidate and one of the most disciplined hitters in baseball, Kikuchi fell behind 2-0, then battled back to even the count at 2-2. After Votto fouled off a fastball, Kikuchi came back with a breaking ball — not even his best of the day — and it elicited an awkward, hesitant swing and miss for strike three. Even in the unimportant games of spring, Votto is a tough out. His reputation is known in Japan. While Kikuchi was respectfully deferential toward the more-accomplished player to the media, later in the clubhouse, Novak showed a video of Votto’s regrettable strike three swing from Twitter. Kikuchi allowed himself a shared smile with his interpreter. Votto was very complimentary in an interview with a large group of Japanese reporters. The Votto strikeout was the second out of the first inning. Kikuchi then quickly showed a little athleticism, hustling off the mound and sprinting to first base to receive a throw from Ryon Healy, who made a nice stop on Yasiel Puig’s ground ball. It concluded a 1-2-3 inning where Kikuchi threw 13 pitches, nine of them strikes. The second inning wasn’t quite as simple, despite the Mariners leading 3-0. Kikuchi walked Eugenio Suarez, a dangerous, if not widely known hitter, on seven pitches. A bit of irritation crept into Kikuchi’s typically poker-faced demeanor. 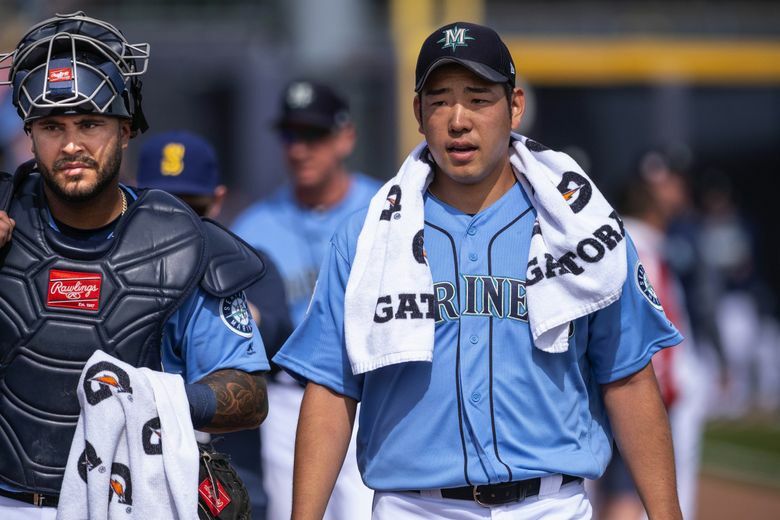 “I knew he was a really good hitter and I wanted to compete against him and face him, but it ended up being a walk and I was a little frustrated,” Kikuchi said. The leadoff runner should have been quickly erased. Kikuchi got Chris Okey to hit a bouncing ball to shortstop that should have been an easy double play. But Tim Beckham bobbled then dropped the ball as he tried to flip it to second, registering no outs. The error loomed costly when the next batter, Kyle Farmer, looped a single into center to allow a run to score. Center fielder Dom Thompson-Williams mishandled the ball, allowing Okey to advance to third on the play for another error. Kikuchi didn’t fall apart. He got Phillip Ervin to hit a ground ball to Shed Long, who turned it into a 5-4-3 double play. But that second error for the extra base allowed another run to score. The inning ended on another ground-ball out to Long, who was starting his first game at third this spring. Both of the runs were unearned. Kikuchi’s final line was two innings pitched, one hit, no earned runs, a strikeout and a walk. He threw 29 pitches with 19 strikes. Getting an inning with a little traffic on the bases isn’t a bad thing early in spring training from an experience standpoint. 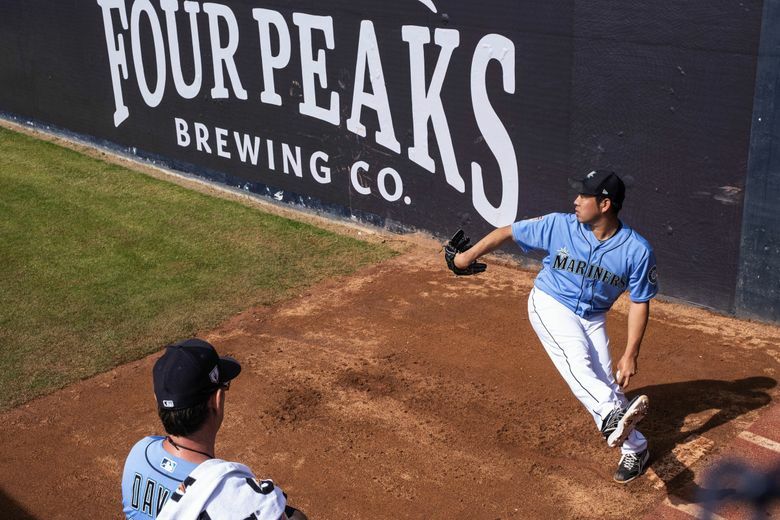 Given the hype surrounding him and the adjustment to a new level and type of baseball, it was an acceptable outing. What made him the most nervous? Kikuchi had an immediate takeaway from the two innings of work. The adjustment to the ball used by Major League Baseball, which has a slicker cover and smaller seams than the ball he used in Japan’s Nippon Professional Baseball, is ongoing. Kikuchi is likely to pitch Saturday in Surprise, Ariz., against the Royals.